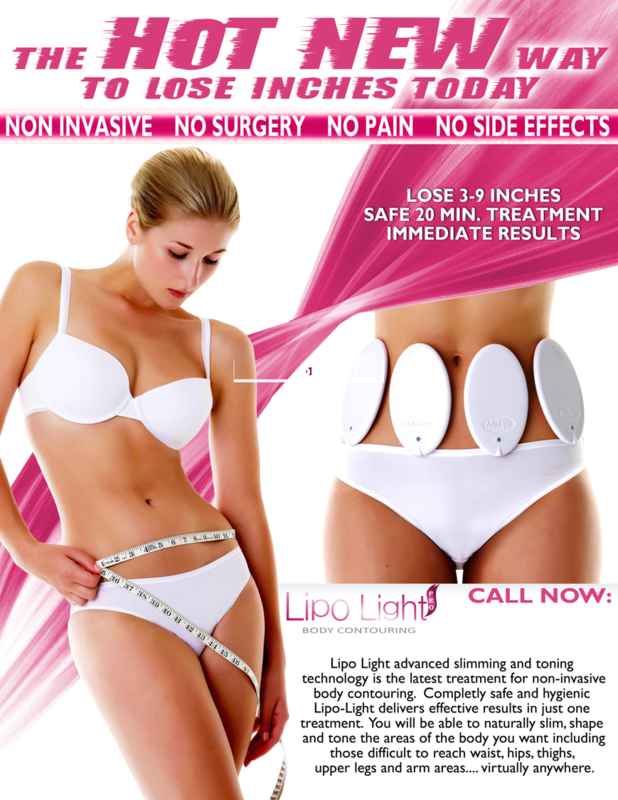 Lipo Light advanced slimming and toning technology is the latest treatment for non-invasive body contouring. 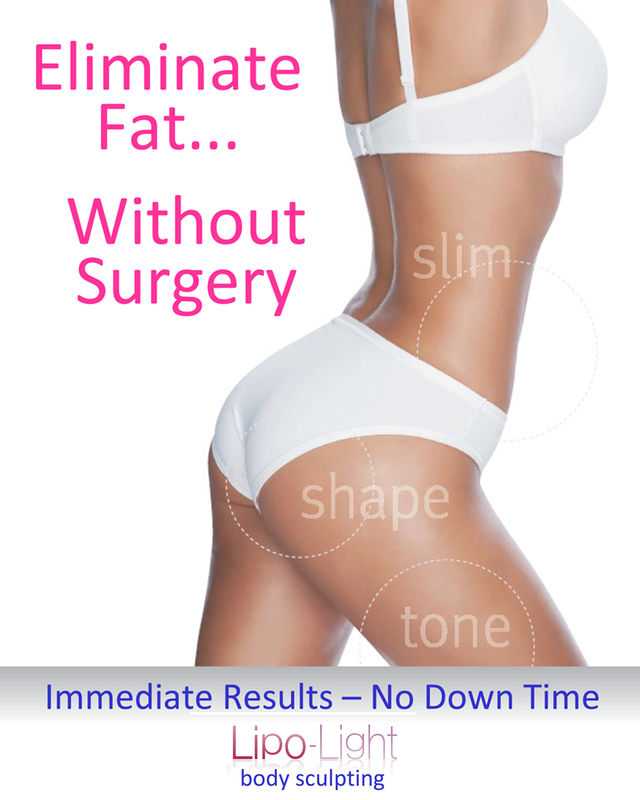 Completely safe and hygienic Lipo-light delivers effective results in just one treatment. You will be able to naturally slim, shape and tone the areas of the body you want including those difficult to reach waist, hips, thighs, upper legs and arm areas... virtually anywhere.